Design creative living and work spaces that fit the needs of clients. Analyze and perform various painting techniques including faux finishing. 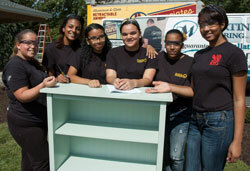 Refurbish broken and outdated furniture using innovative materials and techniques. Develop the necessary skills to create and deliver innovative spaces using the principles of design. Throughout my high school career I discovered my love for design and creativity which led me to attend college for interior and architecture design. I graduated and worked as an interior/kitchen and bath designer. During this time I attended Kutztown University for education and then taught for six years, but I still had a passion for interior design and furniture refinishing. 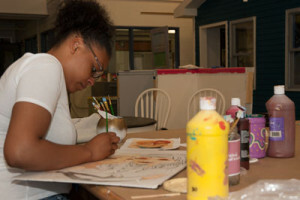 I love working with students and watching them gain the skills needed to become successful painters and decorators. The best part of my job is being able to combine my love for teaching and passion for design. 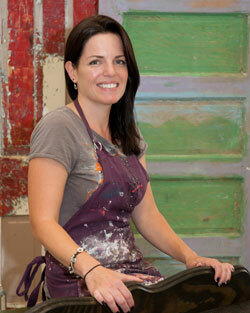 I have worked for companies specializing in interior and kitchen design and painting. In addition, I have taught elementary and middle school in the Reading School District.